A study by the International University of Florida (FIU for its Spanish acronym) suggests that the accent of Spain is more appreciated among its students in Miami than the Cuban and the Colombian. The research published in the academic journal Latino Studies was based on a survey of 300 students at the university. According to El País, the study points out that the accent of Spaniards is associated with a higher educational level, better jobs and a more affluent family background. The survey focused on these three accents and the one that worst results obtained was the Cuban one, striking being the original community of Cuba the majority in Miami. "We conclude that the results have nothing to do with the linguistic system of each variety of Spanish but with the association of Spain to the idea of Europe", says the research’s director, sociolinguist Phillip Carter, who warns of "stigmatization" of the accents of the communities with large indigenous, Afro-descendant or low-income sectors and their pernicious effects: "What would happen if, instead of responding to a survey, the participants had been making decisions in positions of educational responsibility, employment, of housing or health? People can make decisions that are harmful to others based on how they speak”, he said. Carter gives the example of the Cuban accent, the one that worse markers obtained. "Basically, it has to do with racial, cultural and economic issues, because the Cubans who arrive in Miami are no longer the white middle and upper classes of the early sixties but other more humble, poor and more mixed or African. They are also linked with communism, with Fidel Castro and with all the problems on the island”. The study participants listened to voice recordings of three native Spanish speakers from Barcelona, Havana and Bogotá and, without seeing them or knowing their personal details, considered, for example, that the first one was the one most likely to be a lawyer and the second and third, of being employed in a telephone store. There is obviously a race issue behind the reasoning. They also said, for instance, that the Barcelona voice would receive an annual salary of 62,300 dollars (52,000 euros), around 13,000 dollars more than the other two. Miami is the city in the world with the most variety of Spanish accents, "including a great variety of Caribbean, Central American and South American dialects," says Carter. 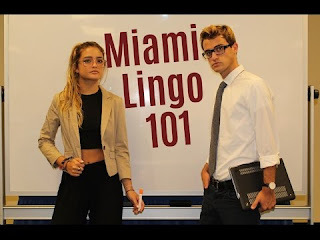 Data from 2013 indicated that two million of the 2.6 million residents of Miami-Dade County, the core of metropolitan Miami, spoke Spanish at home.